I’ve stayed in A LOT of places in SE Asia over the course of three months. Whether they were guesthouses, homestays, a street gutter, couchsurfing and even hostels! If you are in SE Asia, I do heartily recommend that you stay in hostels most of the time. Whether you are a seasoned traveller, a newbie, travelling with friends or perhaps on your lonesome, you will without a doubt meet other awesome people and perhaps even travel with them for some of the journey! Either that or they couldn’t get rid of me quickly enough. I was very lucky to have met some amazing people who I consider great friends now and guess what, I MET them in the hostels. 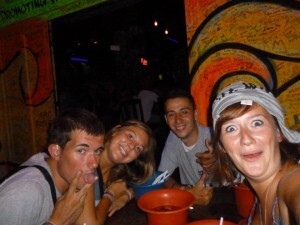 But what really helped me was how fantastic the hostel is for creating opportunities to meet people. Putting on events and tours really help you to gain an initial common ground before deciding whether you still want to talk to that person after. I mean, would you talk to someone you thought was amazing, then minutes later that person stuck his head underneath the toilet door when you are ‘depositing your goods’ to carry on talking to you? But that was very rare and thus most people I’ve met through hostels have been pretty decent, normal and had no urge to comment on your gastric movements. So which hostels do I think has been the best? Here it is in no order, I think all of them are the best! Literally, the first hostel that I stayed in SE Asia. Starting in the capital of Thailand of Bangkok, I was there for 6 days and I absolutely enjoyed it. Not because of the plush bunkbeds, not because it’s spitting distance to tourist haven of Khao San Road, not because of the life saving air con, not because of the fantastic breakfast it has on offer, not because of the amazing staff, not because of the security…but for the amazing opportunities you had to meet fellow travellers who were passing through Bangkok or even starting their time there! With a fantastic chill out zone outside where you can lounge on seats whilst checking out potential travelmates walking past you to get to the reception, you can easily call out to them with a hello and a grinning smile. I met so many people here and my facebook friend count suddenly jumped. So what did I do there? 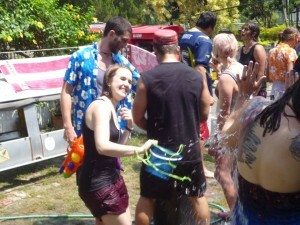 The staff are very partial to throwing party games and I’ll never forget the epic musical statues that leasted for hours which culminated the staff putting on facepaints and props on us to try and make us laugh! 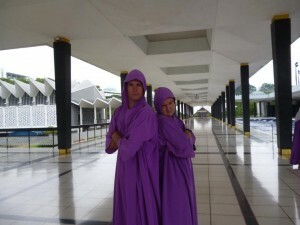 It was also from here that I met with Matt who travelled with me for most of SE Asia. It was so good that I ended up coming back here again the next time in Bangkok. After being in Thailand for a few weeks, Matt and I flew to Chiang Mai in Northern Thailand. We heard about this amazing hostel that not only felt like home, but a fantastic place to meet fellow travellers. It’s so good that you had to book in advance. Set in the suburbs of this cultural town, you are instantly greeted by fellow travellers alike in a home setting. There’s a normal living room, a dining area where everyone sits round a breakfast table and the beds are pretty awesome. Run by a brilliant character called Noom, he will ensure that you have a great time there. He did for me as I ended up staying there 9 nights! So what opportunities did he create? 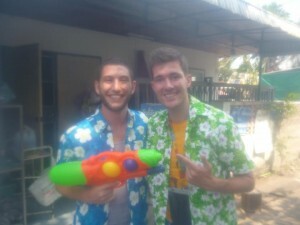 Bowling, Cultural Talks, Football matches, Film Nights, taking you to the nightspots of Chiang Mai and best of all for me, there to ensure we had an epic time for Songkran! 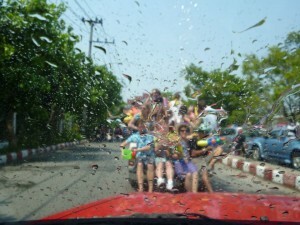 (Thai New Year) – four days of blissful and frentic waterfighting and water festivals, all of us had an immense time. Check out the pics! Such an awesome weekend. 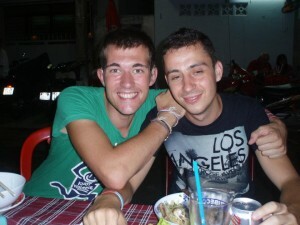 It’s also where I met Jon who travelled with me through Laos and Vietnam. If I had to come back to Thailand again, this hostel will be the first place I would hit up! After spending a good 2 weeks in Laos staying in very hot guesthouses full of insects, homestays, and partying in the dirty rivers, we arrived into Cambodia to stay in Siam Reap and all 4 of us needed somewhere to have a good chill out and stay in luxury! 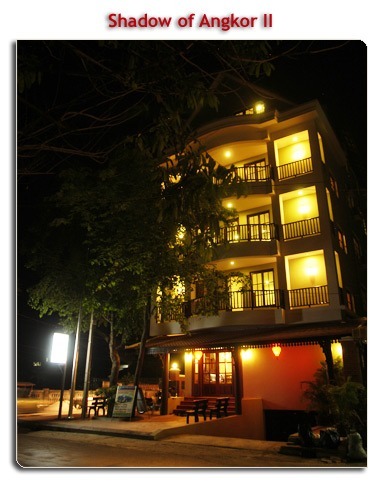 Very surprisingly, we managed to find a really affordable guesthouse in the middle of Siam Reap that offers just that! With a deluxe swimming pool, turn down service and very friendly staff, we were in heaven when we saw our room! So what opportunities did they give us? 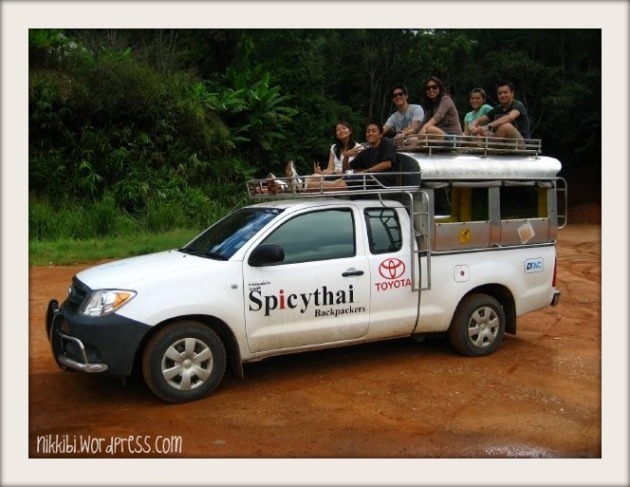 First off, they offered a tuk-tuk service to the ruins of Angkor Wat. Also, with a swimming pool, they are an absolute guarantee that you will meet fellow backpackers here. Also, this ‘hostel’ offers fantastic tours and activities whether it is quad biking, massages, and even cooking classes that we took in Pub Street. It was a great place for the 4 of us to relax and it was so good that we ended up staying here 5 nights! If anything that you are looking to meet hundreds of people and looking for a great time. 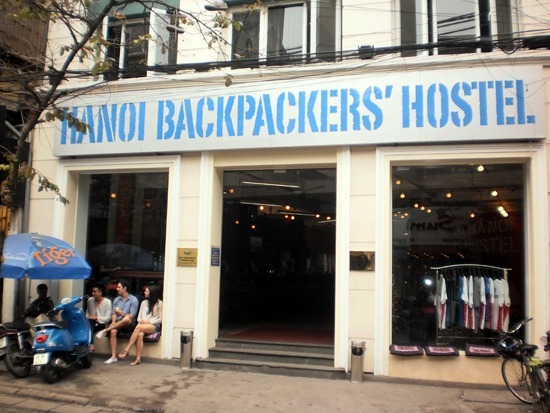 I think Hanoi Backpackers is definitely for you. Running absolutely fantastic tours of the Sapa Trekking Region and the crusing tours of Halong Bay, you absolutely have to go with them. I only managed to go on the Halong Bay Tour and it was certainly an experience I will never forget. Getting naked numerous times due to the challenges made on this Party cruise, this tour is ranked for me to be one of the best! I know all of you will roll your eyes and say ‘but you would do something like that wouldn’t you?’ but really I have a secret…I’m quite shy. But because this experience was so funny and awesome, I duly did. And I met so many people that I would keep in touch with. Also, I possibly saw Alannah who I was travelling with in a whole new light! Upon my return, I also went with them on the hostel’s walking tour of Hanoi itself that went through the backstreets and out of the tourist streets whilst learning all things cultural. And for my last night in Hanoi, I went to their arranged Snake Village with some guys I met on the Halong Bay Cruise and promptly ate a raw live beating bloody snake heart and of course I downed a glass of Snake Blood and a shot of bile. If that doesn’t bring people together, I don’t know what will. But the 5 nights I had with them had been bloody amazing! Nearing the end of my time in SE Asia, I found myself alone again after my travelmates moved off in different directions. 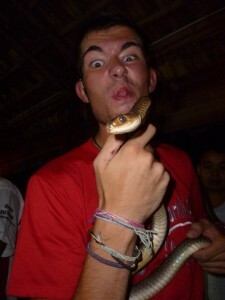 After a traumatic journey from Ko Pha Ngan to Kuala Lumpur, I needed to see some company and have a laugh with. 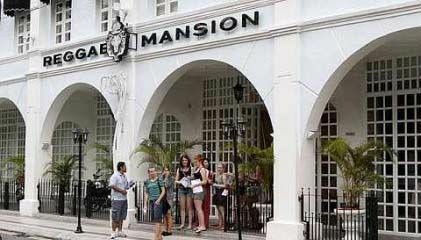 And thank god I did at Reggae Mansions in Kuala Lumpur, Malaysia. Again, like Shadows of Angkor Guesthouse II, this is affordable and luxurious. So I can relax and meet up with the people I spent time at the opportunities this hostel had to offer whether it was watching Euro 2012 on their rooftop bar, chilling out in the inner courtyard, and even on an organised tour of Kuala Lumpur complete with a minbus. The best yet, the staff told us when was best to see the Petronas Towers at night time to see the water and light display. We had a cracking time. The last night, some of us even went on a real Malaysian Cooking class in the grounds of the hostel itself! Spending my 4 nights here, it was great to meet people to finish travelling with at the end of my time in SE Asia. So this is it! All I can say to the hostels is that you’ve been the best! 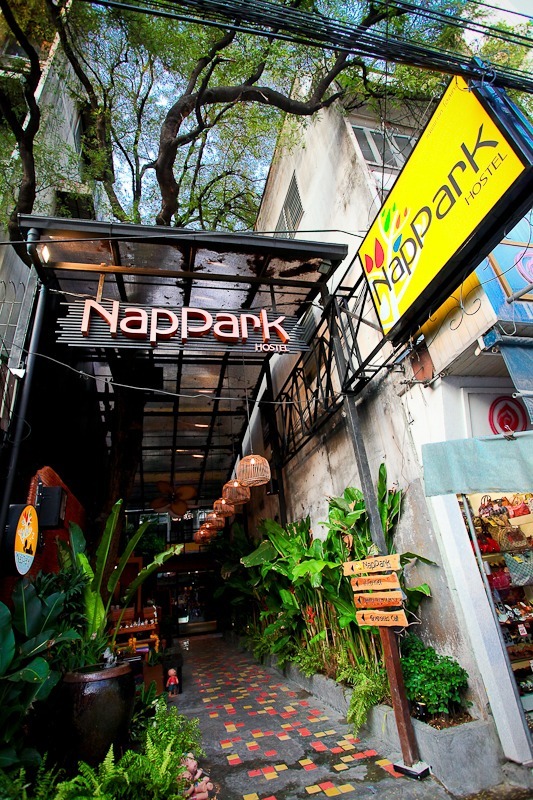 Do you have a favourite SE Asia Hostel? Why not tell us below in the comments? Welcome to visit our site if you need more information about cruises in Halong Bay.